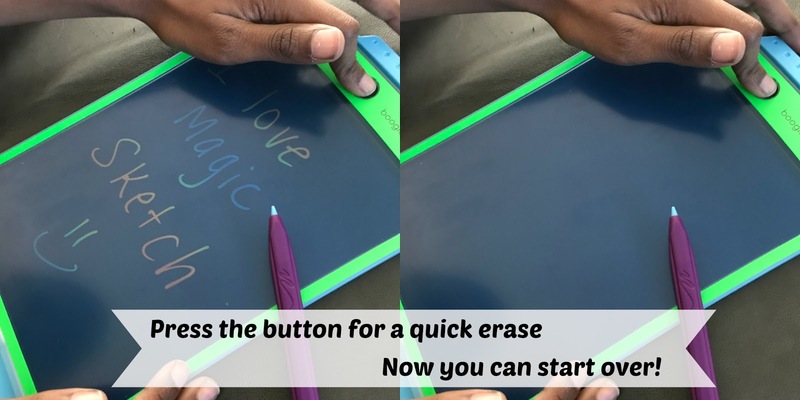 Why Your Child Will Love Magic Sketch! There's no denying that we live in the digital era. Everything from ordering our groceries, asking Siri or Alexa questions for help, and scheduling our doctors appointments can be done instantly from our digital devices. There are some things that can not be replaced by technology and that is good old-fashioned play time. Kids really need to be engaged in hands-on activities that encourage using their imagination to really learn and grow. We recently received the Magic Sketch for review, and my son was thrilled when we opened the box. Magic Sketch is a very simply yet super cool art tablet. There is no real assembly involved, so your child can start using it right away. Magic Sketch comes with a battery already installed, and lasts for years. This means your child can doodle and erase as much as they want! How does Magic Sketch work? You simply use any of the included writing instruments or art tools to write or doodle on the the liquid crystal screen. 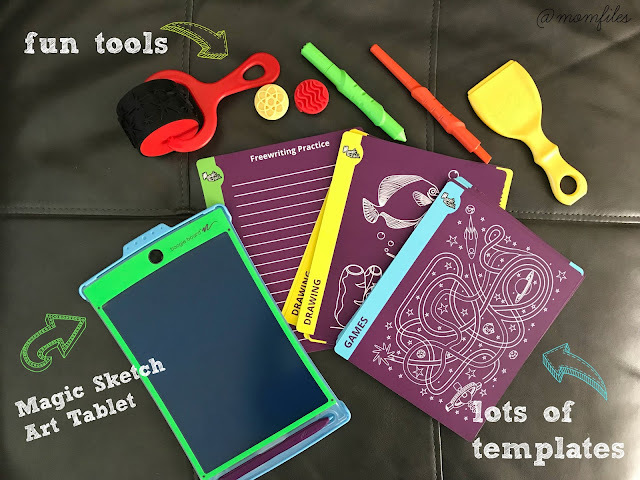 There are templates included that offer a variety of games, drawing stencils, and learning stencils to practice handwriting, math skills, and more. The stamps and roller are very fun for learning patterns and repetition for younger kids. When your child is done drawing or writing, they simply push the button on the top and everything is magically erased! 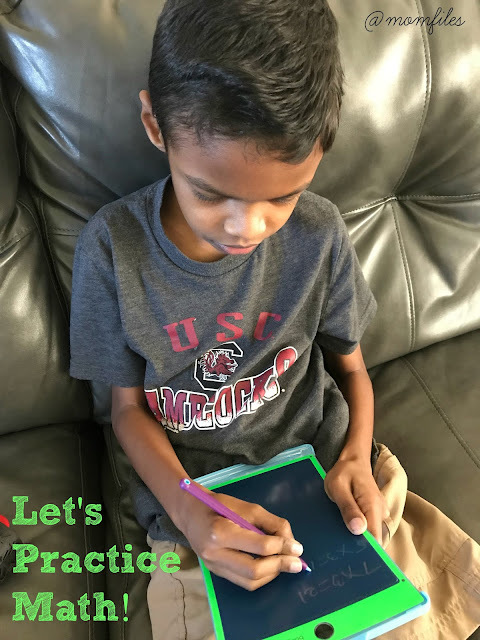 My son loves Magic Sketch as a tool to use for practicing or working out math problems. 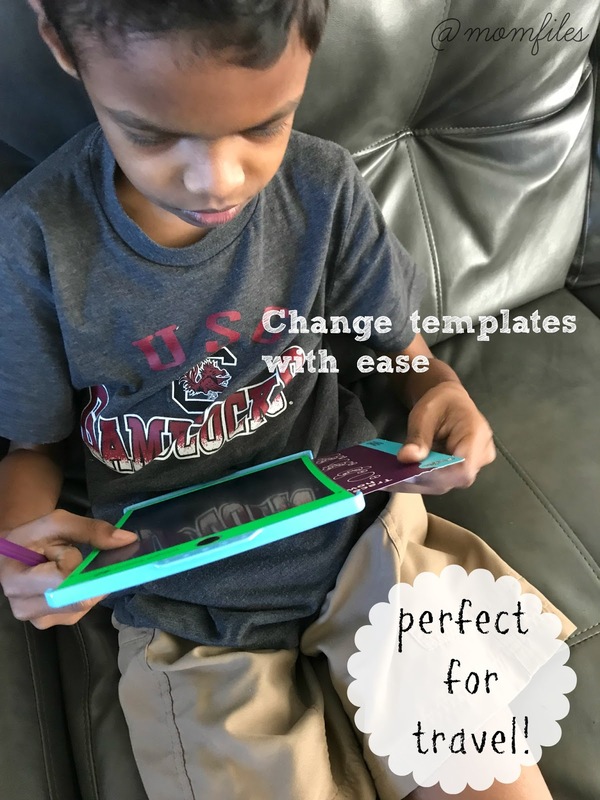 It is super convenient to use during his homeschool lessons. He is not big on art, so he enjoys using the drawing templates to trace pictures and shapes as well as creating his own works of art. Magic Sketch is very helpful to encourage fine motor and writing skills in younger children. The templates are easy to take out and replace, so kids can use it independently depending on their age. Another great thing is that you can make your own stencils according to what your child is interested in or learning at the time. Where can you get Magic Sketch and what do you get? You can purchase it here and this is expected to be a HOT item for the 2017 holiday gifting season. My child loves his Magic Sketch and I think yours will, too. Any child would love to find this under the tree! Just be warned: Adults LOVE Magic Sketch, too!